Space is limited so be sure to purchase your tickets early! Teatro Lirico of DC produces affordable and accessible performances of Spanish and Italian lyric repertoire in the Washington area. Their productions create a direct and exciting experience for the audience. Teatro Lirico is led by Dr. Marco A. Campos, Director of Language Studies at Johns Hopkins University School of Advanced International Studies (SAIS). 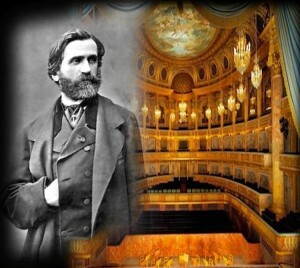 Giuseppe Verdi was one of the most influential composers of Italian opera. Several of his operatic melodies, such as La donna è mobile, have transcended into popular culture. In the concert Verdi Chamber Arias, the artists explore Verdi’s intimate world as composer of chamber songs. The performance will feature Elisabeth Turchi (soprano), Jose Sacin (baritone) and Pablo Henrich-Lobo (tenor), on vocals. The program will highlight songs that reflect the different moods and stages in the life of the composer. The audience will be pleasantly surprised by noticing the relationship between these songs and Verdi’s operas.